Blogging is a great practice for anyone to invest their time in. Whether you’re planning to make money or just using the platform as a hobby, creating a successful blog takes time and effort. Many bloggers, however, take to the internet and wonder why their posts and blogs are not doing as well as they’d like them to. While creating good content should be your priority, it is not enough to just ensure that you have high-quality posts to create a successful blog. So much more goes into a blogging website than just the words on the page. 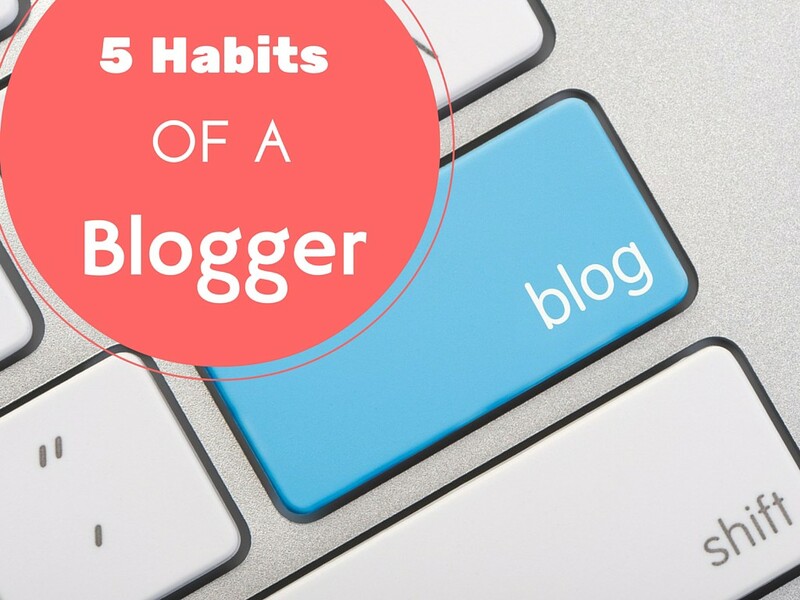 We’ve compiled a list of five essential blogging habits that will revolutionize your website and ensure a greater level of success if you make them part of your life. The age of internet celebrities means that website success has become as dependent on the personality behind the posts, rather than just their content. Now people want to know about you and who you are, not just what you have to say. The most successful blogs have a face behind the name and write posts from that person’s point of view. By getting your readers to know you, you are immediately creating a greater connection and higher sense of loyalty and are much likely to encourage them to come back time after time again. This doesn’t mean you have to advertise your life online or include personal information that you don’t feel comfortable with. By simply sharing opinions and using personal pronouns you automatically connect with your readership at a greater level than if you stick to general, factual content. Alongside this, social media accounts are a really great way to promote yourself and your work. Not only do they give you another platform to share content, they continue to allow users to get to know who you are. Creating a good buzz on platforms such as Facebook, Twitter and YouTube furthers your reach and adds a whole new dimension to your online presence! While some may believe it’s enough to post great content, set up social media sites and share your website on there, if you fail to interact with users, then it’s very unlikely they’ll be back for more. Growing a regular readership is important to create long-lasting online success, so giving them a reason to check back is an essential practice. 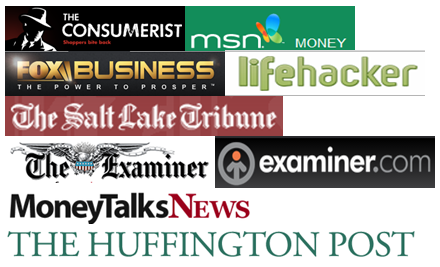 Invite readers to comment on your articles and be sure to always reply when they do. Starting a discussion on any post automatically encourages visitors to your blog to continually return and may even attract new attention through shares on social media networks. Similarly, if you do set up social media pages to market yourself further, make sure you are active, posting, responding and sharing. Getting involved in online communities shows a dedication to the topic that you’re writing about and creates trust in your content. Showing you care about your blog and the subject it is on, and that you’re dedicated to what you do, is a great way to inspire reader confidence and grow your fan base. There are so many blogs out there and so much to learn from looking at what other people are doing. In terms of content, design and style, the best way to understand what works is to be constantly on the lookout. Someone who dedicatedly follows a number of blogs and is always searching for new up-and-coming websites is much more likely to be a successful blogger themselves than someone who just spends all their time focusing on their own content. There is so much to learn in the world of blogging and if you aren’t trying to expand your skills then it’s very unlikely you’ll be able to progress at any great speed. The best way to learn is through others so be sure to always be searching for successful blogs and analyzing the things they’ve done to make their site great. Similarly, getting to know fellow bloggers in your field is a fantastic way to improve your own reach so be sure to get networking and make some online connections!Many people have risen to notoriety through collaborations with well-establishing online personalities. Remember: a lot of the time it’s who you know, not what you know. Some sites even offer the opportunity to guest post, which is a great way to get your name out there and become part of the blogging community. This is one of the most important rules of blogging and it’s incredible how many bloggers fail to follow it. Being consistent with your posts is essential in order to create a lasting readership and ensure that people don’t lose interest. For most users, after checking back once or twice and failing to see any new content, they’ll quickly move on and look for somewhere else to find their entertainment or information. On the other hand, those who update frequently are much more likely to attract attention and inspire interaction from their readers. People look for up-to-date and relevant content when surfing the net, so if you’re failing to provide that then you’ve fallen at the first hurdle. The best way to overcome this is to set a dedicated post time at a regular frequency— once a fortnight, once a week or even once a day if you’re feeling really ambitious! By doing this, you’re creating a manageable goal for yourself, and you’re also letting followers know when new content will be available. Consistency is the key to continual success, so make sure you stay stringent and be sure to always meet your deadlines! No matter how hard you work to create the perfectly targeted blog, with a carefully considered audience and fantastic content, if you fail to secure yourself properly, then all your hard work could be for nothing. Cyber attacks are becoming increasingly common and bloggers are some of the most at risk. Whether you lose your site to a nasty piece of malware or fall victim to online identity theft, the result is sure to be disastrous. Plus, once you’ve been infiltrated and your readers become aware, it’s extremely hard to repair your reputation, as most people will avoid infected domains like the plague to protect their own online security. Because of this, taking the necessary steps to protect yourself is essential. Simple practices, such as installing a good antivirus and firewall software, are great to begin with. There are many brands on the market so be sure to do your research to determine what’s best for you. Similarly, using a Virtual Private Network (VPN) when updating on-the-go is essential as public WiFi networks are notoriously insecure and leave your data completely exposed and vulnerable to attack. By running a VPN you can create an initial secure connection, encrypt your data and are able to browse and blog securely and confidently. Creating a successful blog isn’t as difficult as it might appear. By creating a few simple habits and follow some essential practices you can simply and easily create a great site. These steps are great places to start, but if you have any other ideas, then be sure to leave a comment below and continue the discussion. Blogger replies to their readers’ comments cannot be understated as to their importance, in my opinion at least. Too often, in the many blogs that I follow, have I seen where initially a blogger (in the early days of their blog’s life) will reply to all reader comments but then, as their blog’s popularity grows and reader comments increase, the blogger gets “too busy” or feels that replies to comments can be cut back or dropped most of the time. Interaction with readers gradually decreases and so does my interest in following that particular blog, regardless of their posted blog content. It’s just a little courtesy that I appreciate in a blogger taking time to reply (or at least acknowleding) my comment since I spent time posting time in commenting in the first place. I think being consistent is the most important thing you mentioned. No matter how good the blog is, if there is not consistently new content , I won’t keep reading it. Being consistent is something that people go back and forth on. Of course you don’t want your blog to be stagnant, but there is something to be said for only creating good, real content instead of just posting because it’s on your schedule. You don’t want to be putting up low quality content just because you feel obligated to post. There lies one conflict of interest. There are constant offers for sponsored contents, which are, most of the time, boring and irrelevant. When life gets tough and time management tougher, you have no other option but to post those sponsored contents as it is. I do that sometimes. Just being practical here. I don’t think every blog article needs to be a profound essay. Trivia that happens usually reflects the writer’s values and is interesting to the reader. IMHO. Of course to get the news we will visit news sites. We read blogs to get someone else’s perspective. Very true. Being consistent is a must. It is like people expecting their newspaper outside the door in the morning. The more you can interact with your readers, the more personable you are. A great way to do that would be by responding to each of the reader comments on the blog as personal and courteous as possible. Thank you for the opinion, Michael. We always want to run our blogs like a forum. Where every readers opinion counts. I agree. Great content and interactivity are really important. I find that if I interact with those who engage with my site by re-tweeting, sharing, etc. those people become loyal to me and consistently help spread my blog posts. Great post as usual SB – nothing great is achieved without hard work and consistency. I liked your point about keeping your site secure. A number of times my site was infected with malware. Even attempts were made to take over the site. Just recently it was infected with pharma hack. I was generous with spending money on site security.